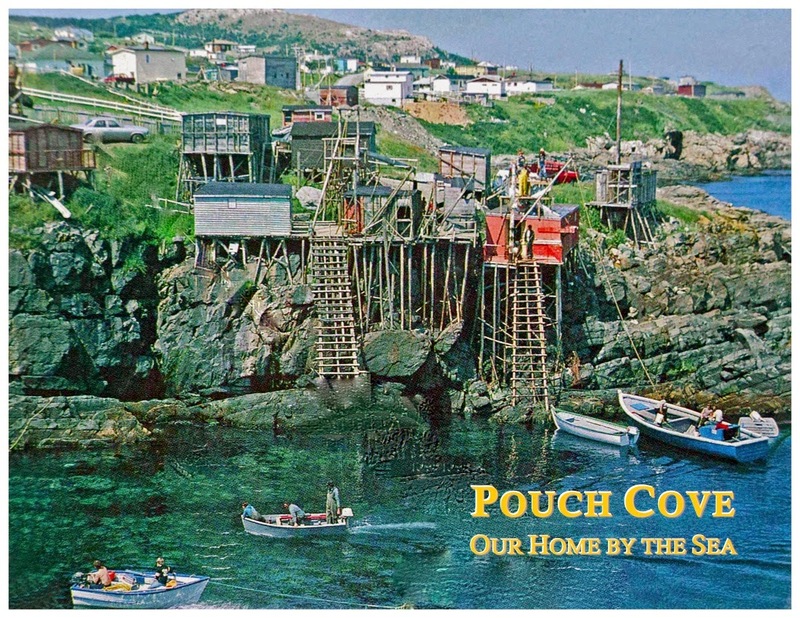 On Sunday, May 4th at 2 PM, the Pouch Cove Heritage Committee will launch a newly published book of local stories and images, Pouch Cove – Our Home by the Sea, at All Saints Anglican Church in Pouch Cove. Everyone is invited to attend, to help us celebrate this major achievement. The book was developed and designed by six members of the heritage group, who have assembled material for a 186-page, richly illustrated history of the communities of Pouch Cove, Shoe Cove and Biscayan Cove from the time of their founding up to the present. More than fifty people contributed photographs, stories and documents for inclusion in the book. With more than 230 illustrations and a comfortable spiral binding, the book is being hailed by readers as a major accomplishment and a milestone for the community. Pouch Cove – Our Home by the Sea has sections about Early Settlement, Fishing, Sealing, Local Merchants, Losses and Tragedies, Local Agriculture, Veterans, Women’s Lives, local groups and associations, the Pouch Cove Public Library, Schools, Churches and Church groups, The Pouch Cove Volunteer Fire Department, Sports and Recreation, Holidays and Celebrations, Health and Healing. In addition, the Cape St. Francis Lighthouse, Shoe Cove Satellite Tracking Stations, East Coast Trail and Marine Drive Park are highlighted. Collected Stories and Poems and a section of 22 pages of photographs of local families complete the collection. Introductory sections written by Pouch Cove Mayor Joedy Wall, MHA Kevin Parsons and Dr. Edgar Williams set the tone for the rich collection of information in the book. Copies of the book are available at local outlets and can be ordered online from www.pouchcoveheritage.org.